France Executive Protection, Security Services, and Secure Transport. ETS Risk Management has provided Executive Protection and Special Event Security throughout Paris and the South of France, and neighboring Principality, Monaco for the past 7 years including Ultra HNWIs, heads of State, Fortune 10 CEOs, Business travelers, and celebrities. Our local team of specialists in Personal Security and Secure VIP transportation are the pinnacle of their industry and stem from high-level backgrounds including GIGN and DGSE. ETS can provide a range of executive vehicles for large groups and entourages, including armored vehicles, all with bilingual local drivers. 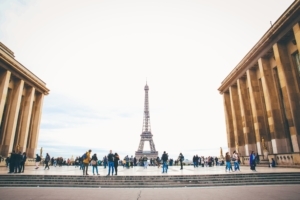 France remains a generally safe and secure country to visit but recent high profile terrorist attacks and a looming threat mean that travelers should be particularly vigilant. High profile western interests/businesses may be viewed as potential targets for extremist groups and travel/business plans should be planned in accordance with extant risk advisories and government advice.